Easy, fast and delicious. What else can a man ask for? The Hasselback chicken recipe at the following link is just a good starting point. This time I didn't have spinach, so I used some fresh-picked basil from the herb garden. I also didn't have Pepper Jack cheese, so I used some Habanero and Parmesan instead. 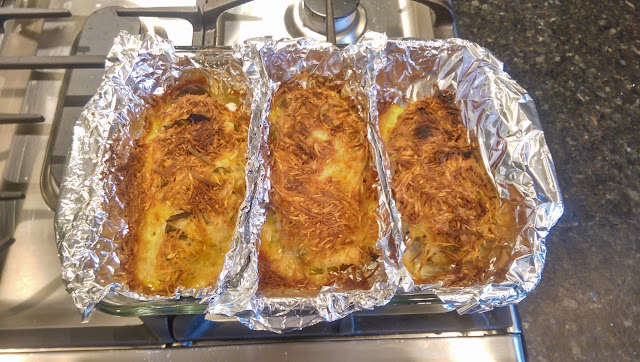 Ten minutes of prep and twenty minutes in the oven. 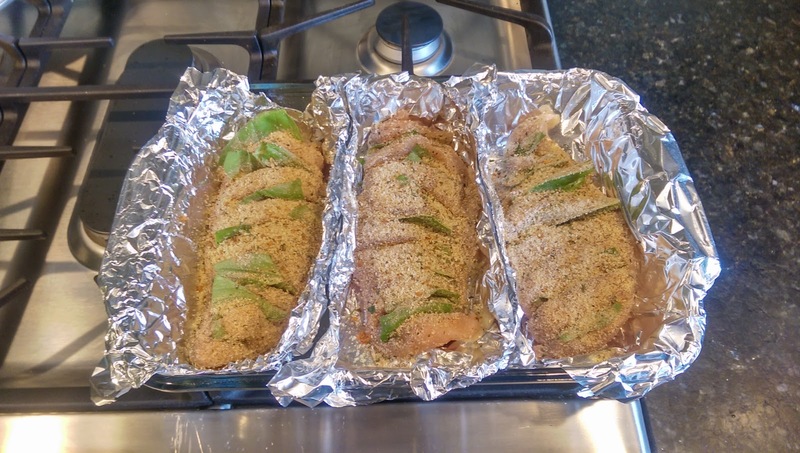 The first picture is before the cheese on top and the baking, showing the basil inserted into the slices in the chicken, then sprinkled with the bread crumbs and Cajun seasoning, and each sitting in its own aluminum foil "boat". The second picture is the finished product, to which I added some time under the broiler for a crispier finish.